Happy Friday! Don’t know about you, but I’ve had a pretty interesting week – including trying to chop off the tip of my right thumb. Do you know how hard it is to function when the thumb on your dominate hand is out of commission? Well, it’s pretty dang hard. But, as with so many other things, it could’ve been a lot worse. 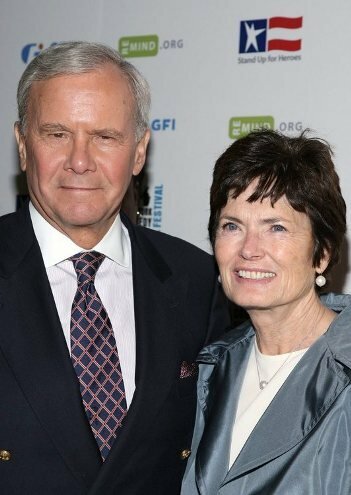 At 1:00 p.m. Eastern Time today, the great newsman Tom Brokaw, and his wife Meredith, were involved in a three-car crash on the Bruckner Expressway in New York. The long-married couple walked away uninjured, however there was one fatality. “Tom and Meredith Brokaw, at around 1 p.m. today, were in a three vehicle accident on the Bruckner Expressway. The Brokaws were in the far left lane when they noticed a spool of cable bouncing along the far right lane. Just then, a green SUV in the right lane came up fast and tried to avoid the cable. The driver lost control of her vehicle and slid into the middle lane, forcing a mail truck into the Brokaw lane of traffic. As the mail truck careened into the Brokaw lane, Tom hit the brakes hard and skidded along the median. When the mail truck catapulted the median the Brokaw vehicle slid into it. 50 queries in 0.830 seconds.